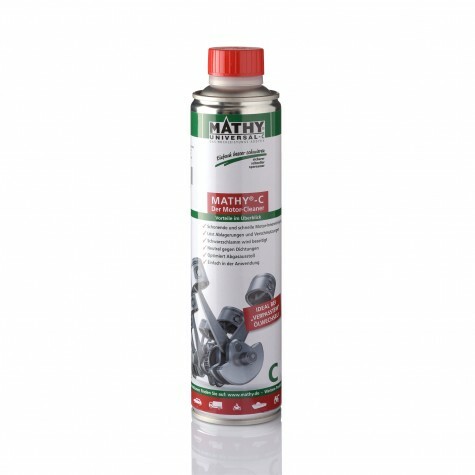 MATHY Gearbox Additives Getriebeöl-Additives for a Faster Gear Shifting! For motorcycles with separately lubricated oil circuits, MATHY-T optimizes gear shifting, reduces noise (clicking sound when changing gears) and ensures a better power transfer to the wheel. Margins between the tooth flanks are balanced out by the increased compressive strength of the standard gear oil. This acts as an additional buffer and sustainably reduces wear. What is the effect of MATHY-T in the gearbox of a motorcycle? By adding MATHY-T to the gearbox oil, gear changing is optimized, running and gear shifting noise is minimized, and power transmission from the engine to the wheel is improved. For motorcycles with separately lubricated oil circuits, MATHY-T optimizes gear shifting, reduces noise (clicking sound when changing gears) and ensures a better power transfer to the wheel. Can MATHY-T reduce loud gear changing noise (clicking, cracking)? MATHY-T adds a high adhesive property to the gear oil. As a result, metal surfaces in the gearbox remain permanently lubricated. Furthermore, MATHY-T increases the compressive strength and compensates for wear. Existing operating noise is significantly reduced and hard shifting noise gets quieter. How is MATHY-T to be used? 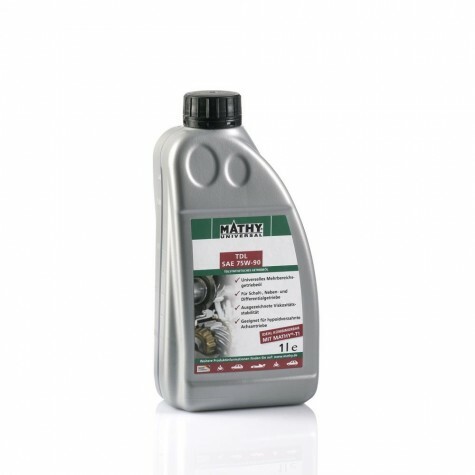 In order to reach optimum performance we recommend adding 20% of MATHY-T to the new gearbox oil after an oil change. Can I use 100% MATHY-T in my gearbox and rear axle drive? We recommend adding 20% MATHY-T to the gearbox oil. In order to treat excessive gear shifting noise, you can add up to 50% Mathy-T. Since it is an additive we do not recommend using 100% MATHY-T. In which gearbox oils can MATHY-T be used? 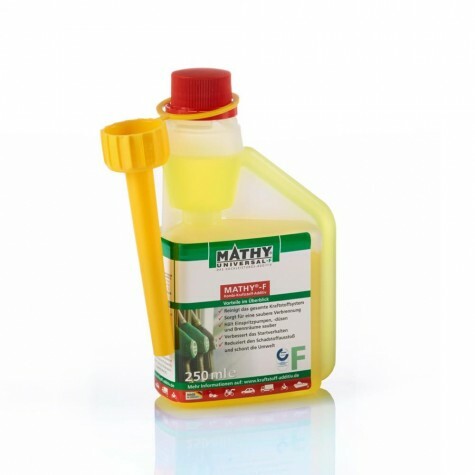 Since MATHY-T is based on hydrocarbons it can be used with all mineral, partly and fully synthetic gearbox oils. 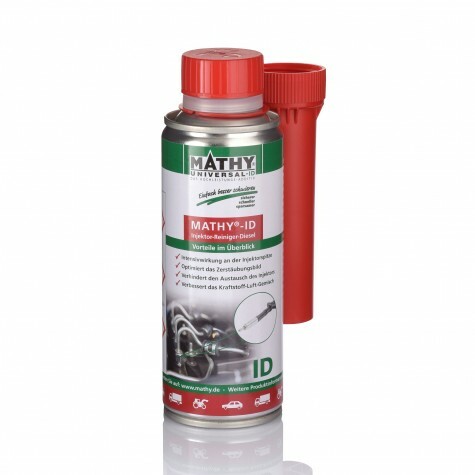 MATHY-T is a high performance gearbox oil additive, especially used in manual gear boxes and differentials. Adding MATHY-T to gear boxes and rear axles noticeably reduces wear by up to 90% (proven by laboratory tests). MATHY-T is free of solid substances. It is specifically recommended for gear box oils of SAE ratings 75 to 140 with particular high pressure resistance and can also be used with hypoid oils. 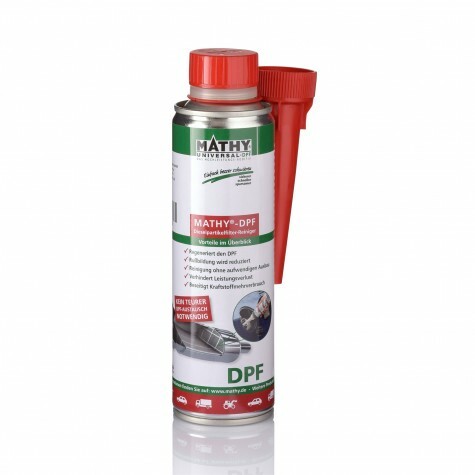 MATHY TDL SAE 75W-90 is a partly synthetic multi-grade gearbox oil for synchronized and non-synchronized gearboxes as well as for hypoid bevel rear axle drives. MATHY TDL 75W-90 is suitable for manual, auxiliary and differential transmissions. It is also suitable for front-axle and rear-axle drives of commercial vehicles. 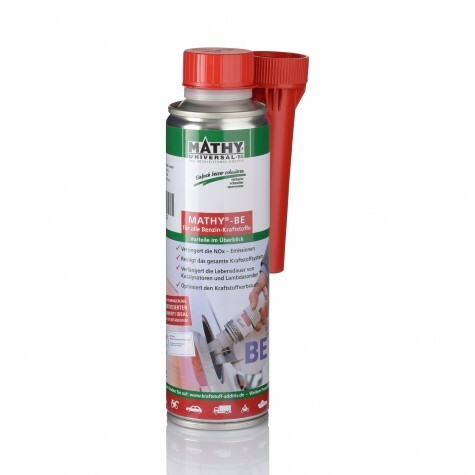 It is the perfect base oil for the use with MATHY-T transmission additive. All Product Sets are free of shipping costs within Germany and Austria. Save more and receive 10 % discount on your order of €300 or more!